Stuck on U.S. 11 or Interstate 59? Let Glenn Bolin's Towing Hook You Up! We offer fast towing service 24/7 at competitive rates. We understand that most of our customers call when they're experiencing trouble, so we provide friendly service at competitive rates. We will always do our utmost to get a tow truck to you as quickly as possible, and tow your car wherever you need it in the Poplarville, MS area. Need something stored? We can do it for a low price! We offer an outdoor storage yard with a locked gate, chain linked fence. Store your vehicles and possessions with us! Available 8 a.m. to 5 p.m., we can store your cars, trucks, trailers, motorcycles, junk cars and more! You can count on us to keep your belongings secured in our secure storage yard! Stop by our storage yard today! Call Us at 601-795-9100 Today! Stay Safe While Waiting for Your Tow! 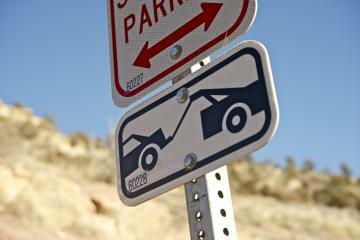 After we dispatch a tow truck to you, consider the best way to stay safe. Try to get your vehicle to the side of the road where possible. If you can, get your disabled car into a parking lot or side street. Otherwise, you run the risk of blocking traffic and that will, in turn, increase the amount of time it takes for our emergency towing service person to help you. Always call the police when you have been in an accident or have a disabled vehicle that can't be moved. The police can better facilitate the movement of traffic and ensure that everyone involved stays safe. Find a secure, well-lighted location and wait for our fast emergency towing to arrive. Call family and friends and let people know where you are. Be wary of people you don't know--we will reach you as fast as possible.